The Chief Information Commissioner — the highest authority under India’s Right to Information law — has ruled that the bills submitted by a government official for getting travel allowance are not covered under privacy safeguards. Government officials are allowed to claim TA or travel allowance in lieu of expenses incurred while traveling on official business or for approved holidays under ‘leave travel allowance’. In case that came up before the CIC, a person by the name of Sanjeev Kapoor from Jaipur filed a request for all the travel bills submitted by A Chidambaram, General Manager in charge of Human Resources at NTPC Ltd, a state-owned power company. The request covered a period of over two years and was rejected by NTPC on the ground that it would invade the privacy of the individual, and also that it would put unnecessary pressure on the company to collect and forward the records. According to the RTI, no one needs to divulge any information “which relates to personal information the disclosure of which has not relationship to any public activity or interest, or which would cause unwarranted invasion of the privacy of the individual” subject to certain conditions. The CIC rejected the privacy argument and ruled that information relating to travel details of a public servant is not exempted per se. However, the commissioner found some merit in the company’s argument that it would be too onerous to collect and forward all the details for the entire period and modified the request. 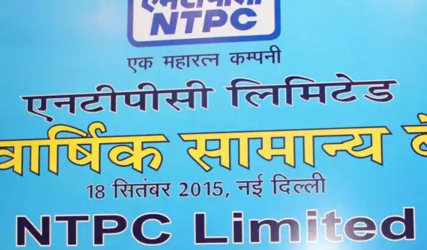 “The CPIO (of NTPC) is directed to divulge the information sought for any 3 months only. The Appellant shall refocus his query w.r.t. time period and inform the CPIO regarding same who in turn, shall furnish the information free of cost within 4 weeks,” it ruled.